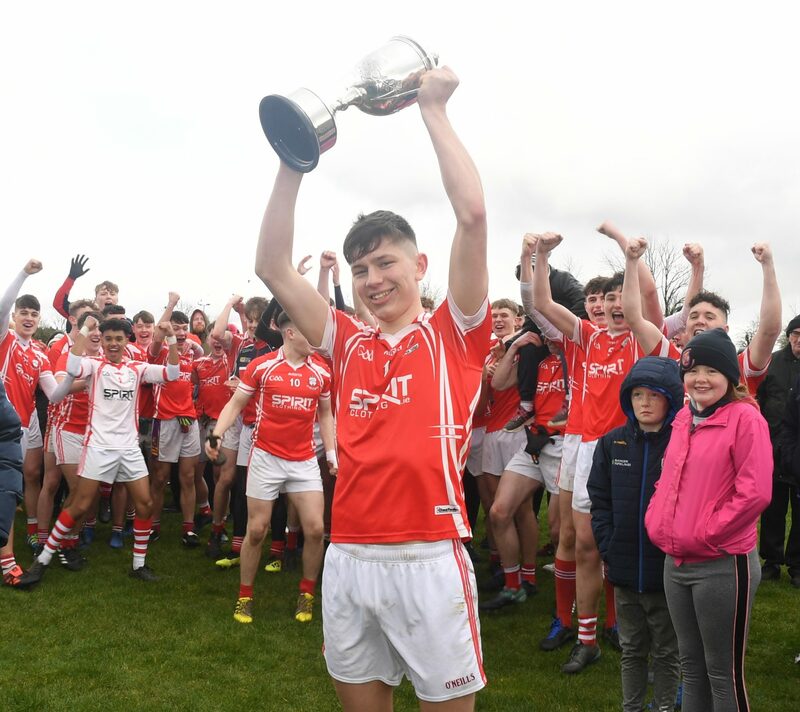 In the aftermath of last Saturday’s provincial title triumph, Roscommon CBS manager Eoghan Coll cut a contented figure as he reflected on his side’s emphatic 19-point victory over Summerhill. He was particularly impressed with a powerful opening-half display that saw his young charges forge ahead by 11 points. That was followed by a controlled second-half performance which saw the lead extended to 19 points before the final whistle. “We got off to a good start,” the manager told the Roscommon Herald shortly after the trophy presentation. “When we got the dominance on their kickout and penned them in a bit, we seemed to be able to get our scores. “They got a goal against the run of play and it knocked us back a bit. Then they got another goal just before half time. So although we were well ahead, it just left them with a sniff of a chance to get back into the game. “But I thought in the second half we managed it well,” he continued. “We kept the ball down their end and managed to get the scores to see it out. We showed good movement and running off the ball, and our workrate was good. That’s what I’ve been trying to instil in them all year. “They’re good footballers with plenty of ability. They just need to dig in at times, and I think we did that when we needed to. If Summerhill showed any sign that they might come back at us, we just managed to hold them out,” he summarised. It had been a hectic couple of weeks for Roscommon CBS, with just an 11-day gap between the semi-final and final, and the small matter of a Connacht senior rugby decider in between the two games. Six players lined out for the rugby team on the previous Wednesday. But thankfully the disappointment of losing out to Garbally College did not affect the morale three days later. In fact, judging by Tim Lambe’s ‘Player of the Match’ performance, it may have just served to make CBS a more dangerous animal on Saturday last. “The big concern for me was injury-wise,” Coll mentioned. “With colleges GAA, you can go a long time with no game and having to organise challenges. And then on the other side, you can have a big run of games quickly. “So that’s what transpired. I was delighted to see CBS in the rugby final, but of course I was a bit concerned about injuries. But the six lads all came through it, which was great,” he said. Coll was keen to praise his players for their achievements to date, and he’s hoping there’ll be more to come as he feels they’re well capable of “giving it a good rattle” in the upcoming All-Ireland semi-final. “A lot of these guys have been playing adult football and were on senior club teams. Some of them were in an intermediate final last year. They’re well used to county underage as well. We have a good bunch of players there. So it’s just a matter of giving them a game plan and let them go from there. “Our next game will be against the Ulster champions, and generally the teams coming out of Ulster are the stronger ones at the ‘B’ level. But if we can bring our ‘A-game’, I can’t see why we can’t give a good account of ourselves,” the CBS manager concluded.